Across the Twin Cities, retail locations are typically among the places that keep cops most busy, with shoplifting and other crimes common at stores. But one retailer appears to generate more police calls than any other: Walmart. The Roseville Walmart, for example, generated about 600 calls for police service last year and it's easily on pace to top that count this year. Last year, about 40 percent of the calls involved theft. The others ranged from disorderly conduct and narcotics to auto accidents and child abuse. The store hires some off-duty police officers to try to keep things under control. Still, "they're close to taking up too much of our time," said Rick Mathwig, Roseville's chief of police. He said the department has literally reached its limit with Walmart. "We're at our maximum level of effort at Walmart," Mathwig said, "so if the calls for service increase we're gonna have to look at decreasing our response in some sort of fashion that does not negatively impact public safety over there." Not far away in Woodbury, the Walmart store generates more police calls than any other location in the city — 526 last year. By comparison, the two Target stores in town combined produced fewer than half as many calls. Walmart tops the list for police calls in Maple Grove and Brooklyn Park. In Bloomington, only the Mall of America generates more police calls. In Shakopee, Walmart has been in the top two businesses for police calls. Walmart is adding more security staff and taking other steps to combat crime, said retail consultant Burt Flickinger. But he said the retailer long scrimped on security and staffing, making it a preferred target for crooks. "By our studies, Walmart has almost 400,000 fewer hourly workers in its U.S. stores today than it did 10 years ago," Flickinger said. "To clean up crime in the Walmart stores and for the store managers to be 'crime stoppers,' it's going to take years." Even the greeters at the front doors can provide a key line of defense, but only if they appear to be on the ball, said University of Florida criminologist and retail theft expert Read Hayes. "If you are an offender and you see a person sitting down, they don't seem to be paying attention, they've got a light blue vest with smiley buttons — that's probably not a concern for you," Hayes said. Walmart's crime problem may not be much worse than that of most retailers, Hayes said, given the company's scale. The retailer draws 140 million shoppers each week in the U.S.
"Relatively speaking, I'm not sure that Walmart has any more crime as a rate of people through the parking lot and in their stores," Hayes said. Walmart spokesperson Delia Garcia said the retailer is adding more employees to watch entrances, exits and cash registers. More cameras and other technology are coming online, and the company is implementing a program that diverts first-time shoplifters from the courts to an educational program intended to prevent further thefts. But it's not in use in Minnesota yet. Garcia said the effort, launched in 2014 and now in place at 1,400 stores, has reduced police calls to stores by an average of 35 percent. The program, administered by two outside firms, can cost participants $400 or $500. Public officials in the Twin Cities are hardly unanimous that Walmart's demand for police services is a problem. 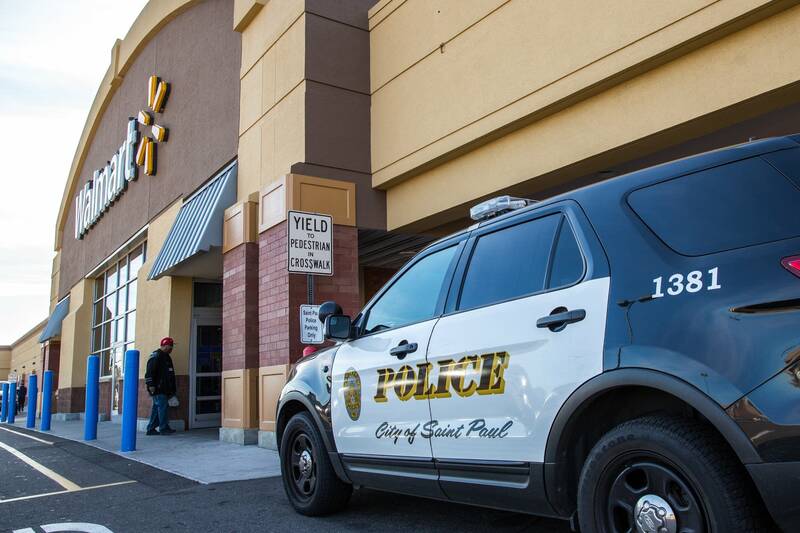 Woodbury public safety spokesperson Michelle Okada said the city's police call count includes any request for service at the Walmart property, including innocuous events such as people locked out of their cars. She said it's not surprising police would be called so often to the Walmart store. "They do have are a great deal of patrons that come in on a regular basis," Okada said. "So certainly the potential for police interactions is greater." She stressed that calls to Walmart are not diverting police from more urgent matters that should and do take priority. "It's important that folks don't think that because the the call volume is so high there that there are other areas that are being let go because they are responding to Walmart," Okada said. In St. Paul, the Walmart generated 1,400 police service calls over the year ending in August. More than two-thirds concerned shoplifting or other forms of theft, according to police records. But City Council Member Dai Thao said the company is stepping up to address crime and public safety issues, staffing two off-duty cops daily. "It's contained and it's being taken care of and being dealt with," Thao said. "Walmart is being a good partner with the city of St. Paul and the police department." Shakopee Police Chief Jeff Tate doesn't view the top ranking number of calls to the local Walmart as unreasonable or burdensome at this point. The store has been a good citizen, he said, supporting several community-building initiatives, and it works to deter crime. "I've heard from chiefs around the country that have said how Walmart's a problem and they help pay for an officer for their location," Tate said. "Now, we're not at that threshold yet where we're out there so much that we need to explore that kind of option." 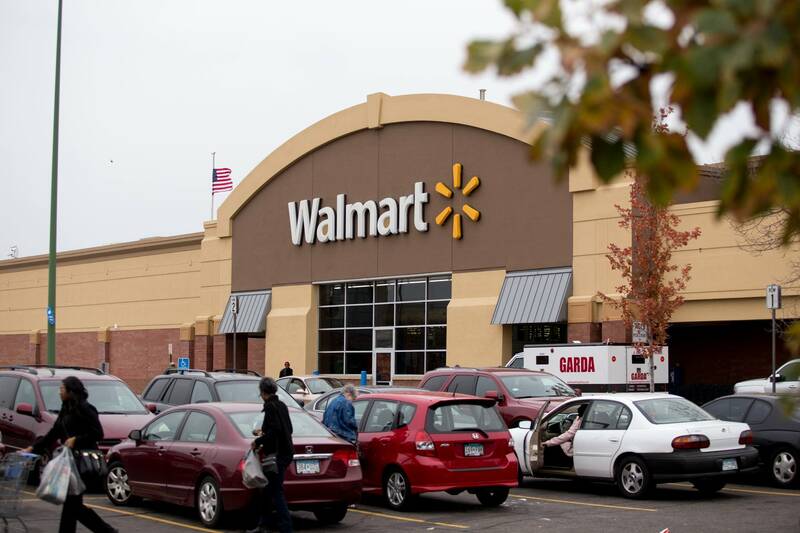 The Shakopee store is among the local Walmarts that have seen gunfire in recent years. But Tate said the incident in Shakopee was a matter of a Craigslist deal gone bad. "That had nothing to do with the actual store, other than they used the parking lot as a meeting location for an exchange," he said. "And that exchange went bad. That was why those rounds were fired."